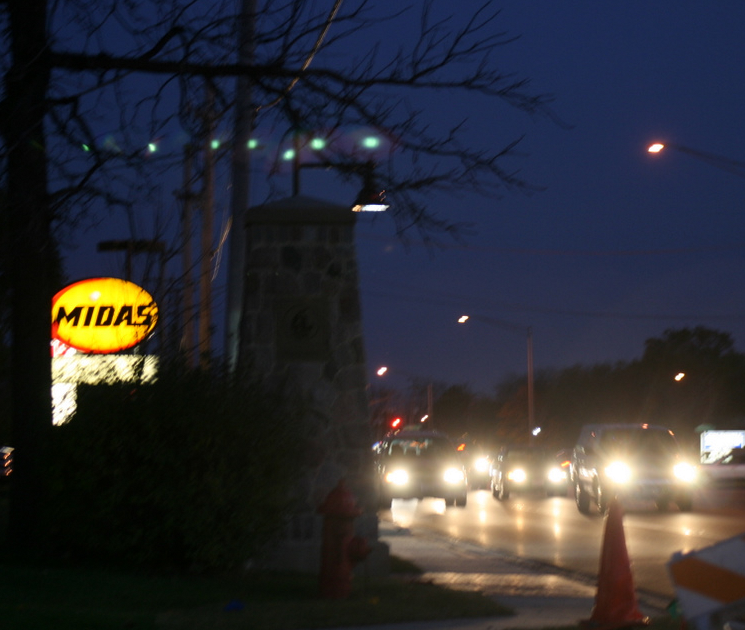 The view at night while trying to get out onto Crystal Lake's Route 14 is blocked somewhat by one of the Virgiinia Street Tax Increment Financing District's $16,000 Monuments. That’s what one person said about the blocking of the sight line from the Pizza Hut parking lot. 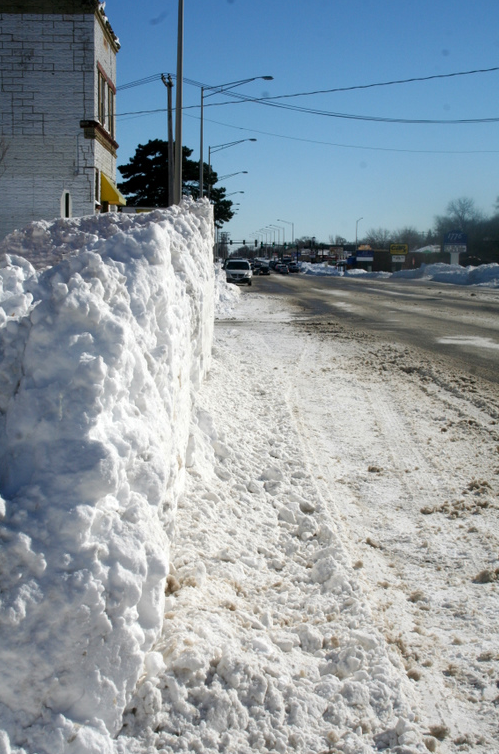 At least when the snow from last February’s blizzard blocked views on Route 14, one knew it eventually would melt. It was dangerous getting out of Taco Bell nine months ago after the blizzard. I drove through Crystal Lake on Route 14 last night and didn’t notice any of the 4 monuments. Apparently they are not very noticeable in the dark. There was no moonlight last night. Notice the monument also obstructs the view of the fire hydrant, if you are coming the direction in which the traffic flows.